Daresbury Laboratory and the Cockcroft Institute have opened their doors to the general public. 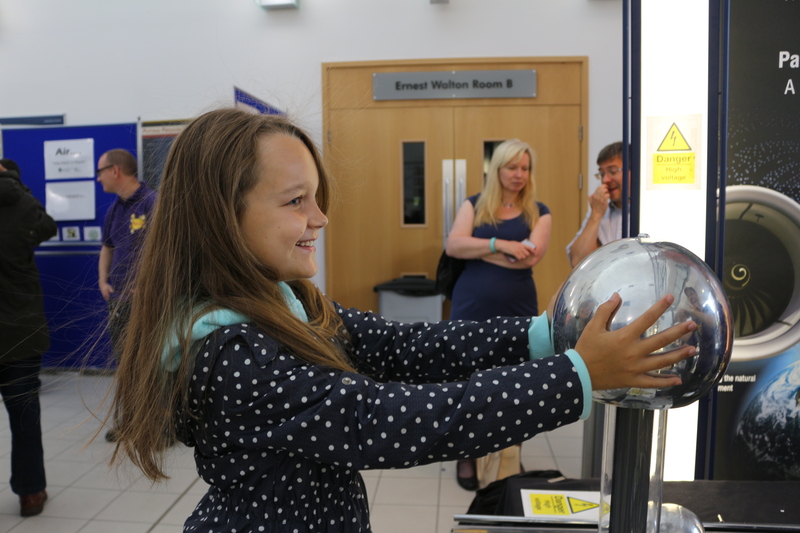 Last weekend saw more than 7,500 visitors come to Daresbury Laboratory for the conclusion of the Daresbury Open Week 2016 (#DOW16). Following on from a week of events for school children and industrial partners, those who braved a very British summer’s day were able to gain insight into the inner workings of an internationally renowned laboratory. The Cockcroft Institute’s contribution to the DOW included our popular tried and tested demonstrations, including the neodymium magnet accelerator (LinDA), instant ice cream with a little help from liquid nitrogen, a Van de Graaff generator to leave hairs standing on end and a levitating train. Members of the STFC vacuum group showed the effect of air pressure on everyday objects such as marshmallows in a vacuum. Attendees were also treated to a wonderful laser show by STFC scientists who were on hand to about the day to day life of a scientist and the QUASAR Group introduced all visitors to our current large scale international collaborations. 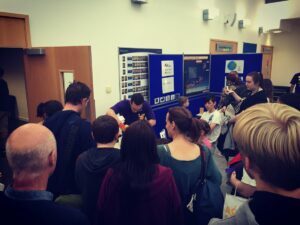 Alongside these, a range of new activities made their outreach debuts during the open week: acceleratAR, VELA VR and VELAtarium. When combined, these interactive activities take participants from the initial design stages of building an accelerator through to their implementation and application. 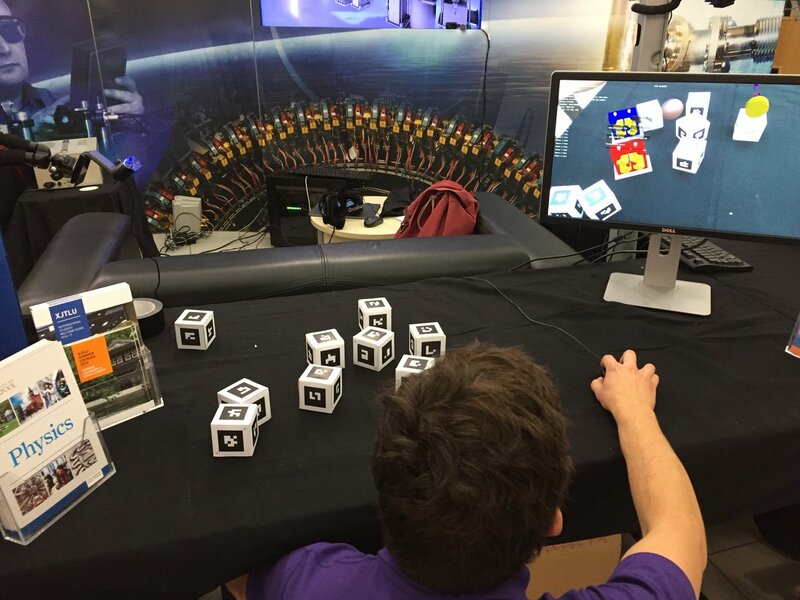 AcceleratAR is an augmented reality application which allows a particle accelerator to be built using cardboard blocks that represent different accelerator components; VELA VR allows people to explore the conceptual layout of the VELA accelerator in a virtual world; and the VELAtarium gave participants a 360° view of the actual VELA accelerator. This week, outreach activities are pressing ahead at full speed. However, this time things are a little different as we are now challenging schools from the North West of England to build their own “outreach” experiments! We have many activities planned for them such as building their own salad bowl accelerator, electric motor, simple electric generator and even a rail gun. As a part of fun, they are going to make videos of how easy, or difficult, it is to build experiments and we hope we can show the videos to everyone afterwards.